Large quantities of oily wastewaters can be generated from the activities and processes in the petroleum industry which draining of these effluents not only pollutes the environment but also reduces the yield of oil and water. Therefore, development of treatment processes for petroleum industry wastewaters is vital in order to prevent serious environmental damage and provide a source of water for beneficial use. Reverse osmosis (RO) can be the most common membrane process used for desalination from oily wastewater and can produce water suitable for reuse at the petroleum industry. In this study, the application of RO technology for the petroleum industry wastewater treatment in different laboratory, pilot, field, and industrial scales have been reviewed. In addition, membrane fouling control, performance efficiency, treatment system configurations, pretreatment methods, quality of treated water, and economic issues have been investigated. With mixtures as complex as petroleum industry wastewaters, membrane fouling becomes a significant hurdle to implement the RO-based purification system. Operating the system within the critical flux range or adding chemicals, and/or pretreatment can usually control membrane fouling. Salt rejection of RO membranes can be 99% or higher. Petroleum (oil and natural gas) plays an important role in modern civilization [1-2]. It is expected that by 2040 the global energy demand will increase by 37%, and oil, coal, and natural gas will still be major energy sources [2-3]. Large quantities of effluents containing oil, water and sludge can be generated from the activities and processes in the petroleum industry which draining of these effluents not only pollutes the environment but also reduces the yield of oil and water [4-12]. The main sources of aqueous waste from exploration and production (E&P) activities are produced water, drilling fluids, cuttings, well treatment chemicals, cooling water, process, wash and drainage water, spills and leakage, and sewerage, sanitary, and domestic wastewater [11, 13]. In refineries, due to use of relatively large volumes of water, four types of wastewater namely cooling water, process water, stormwater (i.e. surface water runoff), and sanitary wastewater can be produced [11, 14-15]. Wastewater generation in petrochemical plants can be from process operations (e.g. vapor condensation, process water and spent caustic in crackers and aromatic plants), cooling tower blowdown, pump and compressor cooling, paved utility area drains, cooling water, and stormwater runoff [11, 16-17]. Liquid tank bottoms [11, 18], leaking liquids from tanks and pipelines, and ballast water from transporting vessels and especially tankers [11, 19] can be the sources of wastewater from storage, transportation, distribution, and marketing sector. Produced water (water co-produced with oil and gas) is the largest wastewater stream in the petroleum industry activities. Globally produced water generation is approximated at around 250 million barrels per day [1, 20]. Produced waters are characterized by a high content of salts and oil which typically, it contains high concentrations of aromatic hydrocarbons, for example, benzene, toluene, ethylbenzene, xylene (BTEX), naphthalene, phenanthrene dibenzothiophene (NPD), polycyclic aromatic compounds (PAH), minerals, radioactive substances, dissolved gases, scale products, waxes, microorganisms, and dissolved oxygen . The salt concentration may range from a few to 300,000 mg/L; the total organic carbon (TOC) concentrations are between 0 and 1,500 mg/L and oil and grease (O&G) concentrations between 2 and 565 mg/L [20-22]. Management of produced water is important in the petroleum industry. According to Hayes and Arthur , cited by Mondal and Wickramasinghe , today more than 60% of the produced waters are reinjected into wells which are geologically isolated from underground sources of drinking water. Reinjection costs vary from $0.40 to $1.75 per barrel, while installation costs vary from $400,000 to $3,000,000 per well [23-24]. Streambank erosion, change in natural vegetation, and salt deposition has been the adverse environmental impacts of surface discharge of large volumes of produced waters [24-25]. Therefore, development of feasible and economical treatment processes for produced waters is vital in order to prevent serious environmental damage and provide a source of water for beneficial use . Generally, oily wastewater pollution can affect drinking water and groundwater resources and crop production; endanger aquatic resources and human health; pollute atmosphere; and destruct the natural landscape, and even probably because of coalescence of the oil burner safety issues can arise [11, 26]. Tertiary treatment or polishing [10-11, 14-15, 18, 27-28]. A typical configuration for a refinery wastewater treatment plant (WWTP) is shown in Fig. 1. Primary wastewater treatment can include two stages namely primary oil/water separation (use of American petroleum institute (API) separator, or corrugated plate interceptor (CPI) separator, or parallel plate interceptor (PPI) separator, or tilted plate interceptor (TPI) separator) and secondary oil/water separation (use of dissolved air flotation (DAF), or dissolved gas flotation (DGF), or induced air flotation (IAF), or induced air flotation (IGF)) [11, 14-15, 18, 27-28]. In secondary treatment, dissolved oil and other organic pollutants may be consumed biologically by microorganisms [11, 14]. Tertiary treatment or polishing step may include processes such as sand filtration, activated carbon [11, 14-15, 27-29], chemical oxidation [11, 15, 28-29], membrane separation technologies e.g. ultrafiltration (UF) [11, 18, 27] and reverse osmosis (RO) [11, 18, 28], or other treatments which will remove recalcitrant pollutants to make the effluent suitable for discharge or maybe for reuse [11, 28]. In recent years, there has been an increasing attention to the application of RO technology for the petroleum industry wastewater treatment. In this study, the application of RO technology for the petroleum industry wastewater treatment in a different laboratory, pilot, field, and industrial scales have been reviewed. In addition, membrane fouling control, performance efficiency, treatment system configurations, pretreatment methods, quality of treated water, and economic issues have been investigated. Electrically driven processes: electrodialysis (ED) and membrane electrolysis (ME) [11, 31-32]. The majority of commercial membranes are usually constructed from organic polymers (polysulfones and polyamides) and inorganic materials (ceramic membranes based on oxides of zirconium, titanium, silicium and aluminum). Plate-and-frame, spiral wound, tubular and hollow-fiber configurations are four main types of membrane configurations that are applied in the industry [11, 33]. Generally, membranes are characterized by pore flow or molecular weight of particle that is retained or is separated by the membrane. However, structure, porosity, thickness, the electrostatic repulsion between the membrane surface and the contaminant, wettability surface and operating conditions can also affect the rejection of solutes and consequently the performance of membranes. Membranes pore flow is differentiated by the size of particles diameter that they can separate (micrometers, μm) and nominal molecular weight cutoff (MWCO). MWCO is a performance-related parameter which refers to the lower limit of a solute molecular weight for which the rejection is 95-98% [11, 33]. In real, it is the ability of a membrane to reject the species of certain molecular weight measured as Daltons (Da) [11, 34]. Note that the solute concentrations at the membrane surface in the bulk side and in the bulk solution have been assumed to be the same [11, 37-38]. MF, UF, NF, and RO apply high pressure across the membranes to accomplish filtration of contaminants from the wastewater [11, 34]. It should be noted that a single membrane separation technology is not usually a good solution to the problem of oily wastewater treatment. It may require to combine with a different or a membrane separation technology, e.g. combination of UF with RO [11, 15, 26], combination of MF with RO, combination of MF or UF with NF [11, 15], combination of MF with UF, etc. [11, 26]. RO is a process that applies semi-permeable (usually spiral wound) membranes [11, 31] to separate and remove dissolved solids, ions (dissolved salts), organic, pyrogens, submicron colloidal matter, color, nitrate and bacteria from wastewater [11, 39]. RO takes place when the pressure differential (Δp) is greater than the osmotic pressure (ΔП) and the water flows from the concentrated to the diluted side [11, 36]. In RO membrane, the water permeation flux is directly proportional to the operating pressure whereas the salt permeation is independent of pressure. Thus, the membrane is more selective when operated in high pressure [40-41]. In RO process, nonporous asymmetric/composite can be applied as membrane and solutes can migrate by diffusion mechanism [11, 32]. In real, nearly all of the modern RO membranes are made as thin film composite (TFC) membrane on an asymmetric UF membrane support. Since these membranes are highly selective at the high-pressure operation, these membranes are easily prone to fouling and thus need relatively clean feed water in terms of suspended solids, clay, organic foulants, etc . Pressure range, MWCO, hydraulic permeability range, and retained particle diameters in RO process can be 5-120 bar, <200 Da, 0.05-1.5 L/h.m2.bar [11, 31], and 0.0001-0.001 µm [11, 33], respectively. Zeolite, polyvinylidene fluoride, polyethersulfone, and polyamide are different types of RO membrane materials which have been utilized for produced water treatment. Interestingly, a α-alumina-supported, MFI-type zeolite membrane was reported in two studies; both materials were synthesized as innovative membranes for produced water treatment . RO zeolite-based membranes are the primary choice for the separation of distinct ions such as Na+, K+, Ca2+, and Mg2+ from oilfield-produced water . Low average flux rate, flux degradation, and uncertain membrane life can be significant technical challenges for cost-effective application of zeolite membranes in produced water treatment. In addition, its sensitivity to variation in flow, pre-treatment, and purification are other parameters that limit the application of membranes in oilfield-produced water treatment [43-44]. The size of rejection required, materials of construction and site location can affect the capital costs of RO membrane systems. Operating costs rely on energy price and total dissolved solid (TDS) level in the feed water. RO membrane systems usually have a life expectancy of 3–7 years [45-46]. Note that membranes cannot usually withstand feed temperatures in excess of 45 °C . With mixtures as complex as petroleum industry wastewater, membrane fouling becomes a significant hurdle to implement the RO-based purification system . For instance, according to Alzahrani and Mohammad , during produced water treatment, the most abundant foulants that may contribute to different fouling mechanisms result from the organic content, specifically oil and organic substances, whose concentrations ranged from 15 to 303 mg/L for oil and 6.9 to 540 mg/L for TOC . Operating the system within the critical flux range or adding chemicals (especially to prevent inorganic scaling and fouling), and/or pretreatment can usually control membrane fouling. Pretreatment is emerging as the most promising solution to control the fouling as it is simple and easy to implement . Once a membrane is fouled, appropriate periodical cleaning is mandatory to maintain the long-term stability of its performance. A variety of chemical cleaning agents including alkaline solutions, metal chelating agents and surfactants have been applied to clean NF and RO membranes fouled by organics [2, 48-50]. NaOH, H2O2, Na2SO4, H3PO4, HCl, or Na4EDTA are required for cleaning the system . For example, the cleaning efficiencies of NaOH, ethylenediaminetetraacetate (EDTA) and sodium dodecyl sulfate (SDS) have been examined for NF/RO membranes fouled by the produced water from a petroleum refinery, and the results showed that SDS was the most effective cleaning agent for recovering membrane flux [2, 51]. To meet drinking water quality standards from oilfield produced water, different physical, and chemical pre-treatments are needed before the RO treatment [43, 52]. Poor pre-treatment and insufficient system integration resulted in several pilot studies failure . RO can be the most common membrane process used for desalination from oily wastewater [11, 36] and can produce water suitable for reuse at the petroleum industry. Salt rejection of RO membranes can be 99% or higher. RO process requires effective oil and grease removal pretreatment due to fouling susceptibility of RO membranes by oil and hydrocarbons. Most membrane manufacturers recommend <0.1 mg/L O&G in the RO influent, and cases have been documented where as little as 0.001 mg/L of a hydrocarbon in the influent has irreversibly fouled RO systems [11, 15]. Different laboratory, pilot, field, and industrial scale studies have been carried out to apply RO membranes for petroleum industry wastewater treatment [21, 46, 53-55]. RO-based systems for the recovery of oily wastewaters are now on the market or in the pilot plant stage. Despite the need for complicated pretreatment trains, RO has still considered a viable treatment technique for oily wastewaters generated by the petroleum industry and for oily wastewaters generated by many other industries . Siler and Bhattacharyya  reported the treatment of oil shale retorting wastewaters containing organics (aliphatic acids and phenolics), inorganics (NH3, S2-, Cl-, alkalinity), color, odor, oils, and suspended solids by RO membranes. Rejections with and without various pretreatment by activated carbon, filtration, etc. (which greatly affected flux) ranged from 60% to 94% for conductivity and 75% to 88% for TOC [53, 56]. Krug and Attard  carried out investigations using UF followed by RO for the treatment of oily wastewater; oil removals greater than 96% were found [56-57]. Teodosiu et al. studied the possibilities of using UF as a pre-treatment for RO, in a membrane filtration system which can assure the water quality requirements needed for recycling secondary (biologically) treated refinery effluent as cooling water make-up. In this system, UF can remove suspended, colloidal material, bacteria and viruses and organic compounds, while RO removes dissolved salts, thus leading to a lower consumption of corrosion inhibitors, anti-scaling agents, biocides and chemicals in the cooling tower. UF had average removal efficiencies of 98% for turbidity and total suspended solids (TSS) and 30% for COD irrespective of process conditions. The best chemical cleaning agents, considering the results of relative flux restoration, were reported to be citric acid and sodium hydroxide . Biological pre-treatment has been suggested to precede the membrane treatment. Tsang and Martin  and Doran et al. proposed different arrangements of combined systems for oily wastewater treatment. Doran et al. suggested precipitate softening at pH 9.5–10.0, heat exchange cooling and pH reduction, fixed-film biological oxidation, filtration and ion-exchange softening to remove residual hardness and finally RO system . DGF, walnut shell filtration, warm softening, and membrane bioreactor followed by RO system was proposed by Tsang and Martin . Both of the combined systems were applied to generate pure drinking water . In addition, Fakhru’l-Razi et al. studied and compared the performance of a membrane sequencing batch reactor (MSBR) (Fig. 2) and MSBR/RO process treating produced wastewater. Different hydraulic residence time (HRT) of 8, 20 and 44 h were investigated in the MSBR operations and operation results demonstrated that for a HRT of 20 h, the combined process effluent COD, TOC, and O&G removal efficiencies were 90.9%, 92%, and 91.5%, respectively. The MSBR effluent concentration levels met the requirements for oil well reinjection. The RO treatment decreased the salt and organic contents to acceptable levels for irrigation and different industrial re-use. Foulant biopsy indicated that the fouling on the membrane surface was principal because of inorganic (salts) and organic (microorganisms and their products, hydrocarbon constituents) matters . Xu and Drewes  studied the viability of ultra-low pressure reverse osmosis (ULPRO) and NF membranes in bench-scale tests as potential processes to treat produced water by meeting water quality standards and concentrating iodide in the brine. The produced water extracted from sandstone aquifer in Eastern Montana was characterized as brackish groundwater of sodium chloride type with TDS concentration of 5300 mg/L, the absence of hydrocarbons, and average iodide concentrations of 55 mg/L. The investigated candidate membranes included one RO membrane (TFC-HR, Koch Membrane Systems), three ULPRO membranes XLE (Dow/Filmtec), TFC-ULP (Koch) and TMG-10 (Toray America), and three NF membranes NF-90 (Dow/Filmtec), TFC-S (Koch), and ESNA (Hydranautics). Flux decline experiments, in situ microscopic techniques, analysis of elemental composition and functional groups demonstrated that the pretreatment including MF, pH adjustment and the addition of antiscalants could reduce membrane fouling significantly. Chemical cleaning using caustic and anionic surfactant solutions restored membrane permeability more efficiently than hydraulic cleaning or using acids and metal chelating agents. TFC-ULP, TMG-10, and NF-90 membranes showed competitive efficiency regarding salt rejection, iodide recovery and adjusted specific flux as compared to a conventional RO membrane . Cost analysis of two ULPRO membranes (TFC-ULP and TMG10), one NF membrane (NF-90) and a conventional RO membrane (TFC-HR) showed that the ULPRO membrane system provided marginally lower overall O&M costs than RO for meeting drinking water standards. In addition, the ULPRO membrane operation resulted in even lower treatment cost than RO and NF for meeting irrigation water standards, especially at high energy cost . Al-Jeshi and Neville  studied the feasibility of applying RO membranes to treat water containing up to 50% (by volume) oil and evaluated the effect of variables such as the feed pressure, pH, and temperature on separation performance of two thin film composite polyamide RO membranes. They reported that in experiments involving contaminated water with up to 30% oil, high permeate quality was attained with more than 99% oil rejection being achieved. In some circumstances, oil contamination led to an increase in membrane flux and, as an example, at 50% oil contamination, an increase in membrane flux of 40% was seen. However, membrane permeates quality was deteriorating at these high concentrations. The product water quality improved significantly with reducing feed water pH and temperature effects on permeate quality were found to be minimal. Also, enhanced feed water pressure resulted in a significant improvement in permeate quality in terms of the TOC . Mondal and Wickramasinghe  tested two commercially available NF membranes: NF 270 and NF 90 and a low-pressure RO membrane, BW 30 all from FilmTec Corporation, Dow Chemical Company, Edina, MN using three different produced waters from Colorado. Results showed that the NF 270 membrane which had the largest pore size, smoothest and most hydrophilic surface displayed the least reduction in permeate flux after testing with produced waters. However, the BW 30 membrane generated the highest quality permeate . The ionic species and dynamic size of dissolved organics can strongly affect the organic rejection performance. Liu et al. removed organics from produced water by RO using MFI-type zeolite membranes. The membrane demonstrated high rejection efficiency for electrolytes such as pentanoic acid and an organic rejection of 96.5% with a water flux of 0.33 kg/m2.h was found for 100 ppm pentanoic acid solution at an operation pressure of 2.76MPa. For non-electrolyte organics, separation efficiency was controlled by the molecular dynamic size; the organics with larger molecular dynamic size depicted higher separation efficiency. The zeolite membrane showed an organic rejection of 99.5% and 17% for 100 ppm toluene and 100 ppm ethanol, respectively, with a water flux of 0.03 kg/m2.h, 0.31 kg/m2.h at an operating pressure of 2.76 MPa. In real, organic concentration affected the organic rejection and water flux. Both organic rejection and water flux reduced slightly by increasing pentanoic acid concentration from 100 ppm to 500 ppm . Çakmakce et al. studied the pretreatment alternatives of RO and NF membranes to find the most suitable treatment combination for produced water generated from oil production fields in Trakya region at the northwest of Turkey. DAF, acid cracking (AC), coagulation with lime and precipitation, cartridge filters (CDF) (5 and 1 μm), MF and UF were applied as pretreatment methods, and NF and RO were used to reduce the salt content of produced water as a final treatment. They tested different combinations to assess the best pretreatment combination regarding both the best effluent water quality and high permeate flux and according to their experimental results, treatment combinations provided required treatment to achieve discharge standard for COD which is 250 mg/L for the petroleum industry in Turkey. They proposed a treatment method to manage produced water in oil production fields (Fig. 3) which included primary sedimentation, oil/water separator, DAF, 1 μm ceramic or metallic cartridge filter, 0.2 μm ceramic or metallic MF, activated carbon adsorption, and RO membrane . Franks et al. applied RO as one of the final steps for the treatment of produced water from the oil and gas extraction process. Because of the effectiveness of the pretreatment process and the durability of the RO membrane, the RO system showed over one year of stable performance. Most ions, including boron, silica, and chloride were rejected as well as or better than expected at the extreme conditions found in this application. However, the combination of high pH, high temperature, and high feed salinity result in a sodium passage which was six times higher than expected. The retest of a lead element extracted from the RO system after six months of operation confirmed the stable permeability and salt passage of the membrane operating on the challenging produced water feed. The RO was successfully run at a high pH of 10.7 and high recovery of 85% with little fouling. The feed pH of 10.7, the temperature of 35 °C, and the presence of hydrocarbons in the feed caused the strength of the membrane’s backing and the membrane glue lines to weaken. However, the integrity of the elements was preserved and the polyamide separating layer of the membrane demonstrated no sign of degradation and no significant enhancement in the salt passage . Kim et al. applied NF and RO membranes to remove salt ions from oil sands process-affected water (OSPW) after pretreatment methods such as coagulation-flocculation–sedimentation (CFS), with and without coagulant and coagulant aids. Membrane permeability was increased by the addition of coagulant and coagulant aids. Organic and oily constituents in OSPW enhanced the negative charge and hydrophobicity of the membrane, reducing membrane performance. Efficient chemical cleaning was achieved with 1 mM acid; flux recovery was attained by 81% after cleaning. They concluded that the pretreatment improved desalination of OSPW for both NF and RO membranes . Negri et al. studied the potential of filtration to treat the Whiting Refinery’s clarifier effluent stream and evaluated its ability to meet the targeted effluent limits (mercury <1.3 ppt and vanadium < 280 ppb). In real, a series of experiments was performed to evaluate the effectiveness of MF (GE Osmonics), UF (Koch), NF (GE Osmonics) and RO (GE Osmonics) membranes in achieving the target mercury and vanadium concentrations in the treated wastewater using experimental set-up shown in Fig. 4. Results showed that MF and UF were highly effective in removing mercury, which was present mostly in particulate form. The water quality goal of <1.3 ppt mercury was met and exceeded throughout the tests. The RO and NF membranes operating at 300 psi demonstrated effluent mercury concentrations of <1.3 ppt, however, the increase in the operating pressure resulted in an increase in the permeate mercury concentration, presumably due to the fouling characteristics of the clarifier effluent. The RO and NF membranes with no pretreatment were unable to remove mercury completely from the clarifier effluent due to concentration polarization because of solids deposition on the membrane surface. Despite no pretreatment, the RO and NF membrane testing showed only very limited ability to remove arsenic, selenium, and vanadium, which were mostly in the dissolved form in the clarifier effluent . Alzahrani et al. studied the filtration of produced water using two highly hydrophilic NF and RO membranes (namely RO-BW30 and NF1 membranes manufactured from polyethersulfone and supplied by AMFOR INC®, China) to evaluate removal efficiency in pre-and-post-filtration processes, and to compare the quality of water obtained from standards for reuse as indirect potable water. They reported that NF membrane successfully attained 96% of overall drinking water standards, despite its inefficiency in removing boron, molybdenum, and ammonia; also, the NF membrane could be applied as a pre-treatment for the RO membrane to generate high-quality water and reduce contaminant concentrations, thereby minimizing the potential for fouling. In contrast, the produced water treated by the RO membrane successfully met the regulatory quality standards for drinking water, with the exception of the parameters for ammonia and molybdenum. According to this study, applying NF membrane as a pre-treatment in an integrated RO filtration system could produce high-quality water with potential for reuse in various beneficial applications and both of the hydrophilic NF and RO membranes investigated were suitable for treating produced water to yield a promising source of water . In the other work, Alzahrani et al. reported that the NF membrane exhibited a higher permeability (7.3 L/m2.h) in pure water than the RO membrane (3.4 L/m2.h). The NF membrane was effective at rejecting certain salt ions (in 2000 mg/L, 97% Na2SO4, 95% MgSO4, 94.8% CaSO4, 94% K2SO4, and 87% Na2CO3), whereas the RO membrane was more effective at rejecting hard salts (96% Na2CO3, 88% NaCl, 85% KCl, 85.4% BaCl2, 83% NaHCO3, and 80– 81% for Na2SO4, MgCl2, SrCl2, and K2SO4). A primary evaluation of the post-treatment potential of the NF and RO membranes for produced water revealed that the critical component in produced water was characterized mainly by TDS and TOC at 854 and 26.3 mg/L, respectively. The RO membrane was more efficient at rejecting these components, in quantities of 244 mg/L of TDS and 6.7 mg/L of TOC, whereas the NF membrane achieved 520 mg/L of TDS and 22.9 mg/L of TOC. Both membranes decreased the initial oil concentrations (2 mg/L), turbidity (21 NTU) and TSS (10 mg/L) to less than 1 mg/L. Generally, the RO membrane was far more effective than the NF membrane in rejecting salts and organics present in produced water. However, the effectiveness of the NF membrane in treating organic content was essentially limited by the applied pressure of 6 bar . Silva et al. treated oil-in-water emulsions to obtain high-quality water for reuse which applied pretreatment with electrocoagulation (EC) to minimize fouling on the membrane and initially decrease the pollutant load, followed by RO. According to this study, a residence time of 6 min was found enough to achieve a constant level in terms of removal efficiencies, which were, regardless of the type of emulsion, over 99.5% in turbidity, 96% in color and 92% in chemical oxygen demand (COD). The subsequent step of RO reached 100% removal of COD and absorbance, over 99.9% of turbidity, 98.9% of TDS, 99.1% electrolytic conductivity, and 99.6% of aluminum ions, achieving the limiting flux for permeate of 20 L/m2.h at a net pressure drop through the membrane of 2.874 MPa. Over the 2 h of the experiment, there was a small permeate flux decrease . Piemonte et al. suggested a comprehensive process scheme for produced water treatment which a vibratory shear enhanced processing (VSEP) membrane system was in charge of the secondary treatment, whereas an RO unit realized the tertiary treatment. Material and energy balances were carried out on the whole process, while the RO process was simulated by the IMSDesign software by Hydranautics. In this study, three different scenarios were analyzed: increasing produced waters salinity, getting a stream outlet as purified water with such low pollutants concentration and salinity to be reusable for different purposes. The RO unit was carried out with a single-step or a double-step filtration; a cost analysis, performed on the different case studies, allowed computing the final specific costs per cubic meter of treated water, showing that a double filtration step allowed a lower salinity water, albeit raising the costs up to about 5 €/m3, a high price justified only if an ultra pure water should be needed for specific applications . In 1994, Chevron installed an RO system to treat the excess wastewater stream after filter pressing of nickel-laden wastewater from the reactor cleaning process in residuum desulfurization (RDS) plant. In real, the old method (precipitation with a caustic reactant followed by filtration) was replaced with RO system. The RO system separated filter press effluent into two streams: a permeate, which was boiler feed quality water, and a reject stream, which was recycled to the hydro drilling operation. RO treatment improved the efficiency of the catalyst removal operation because wastewater could be treated and recycled while hydro drilling was carried out. The permeate produced contained only about 1 ppm TDS and a nickel concentration of less than 0.1 ppm. The RO system produced clean water that was suitable for use as boiler feed water and reduced treatment costs by 30% compared to the old method while protecting the environment . Since 1995, the Chevron petroleum refinery located in El Segundo, Los Angeles (with an operating capacity of 270,000 barrels per day) has applied recycled water for cooling towers and for boiler feed since 2000 [72-74]. The process flow diagram of reclamation plant at the Chevron, El Segundo refinery is shown in Fig. 5. Secondary effluent from the Hyperion Treatment Plant is treated to a tertiary level at West Basin’s water reclamation plant. This water is sent to a satellite treatment plant at the refinery where it undergoes nitrification to reduce the ammonia content. Quality of the nitrified tertiary effluent used by Chevron in their cooling towers is given in Table 1. Secondary effluent is also treated using a MF and RO train at the reclamation plant. Water treated with one RO pass is sent to the low-pressure boilers at Chevron, while water treated with two RO passes goes to the high-pressure boilers. Quality requirements for the boiler feed water at the Chevron, El Segundo refinery are given in Table 2. Chevron provides no further treatment other than its own chemical addition for corrosion, scale and biological protection. Chevron has seen a $2.3m reduction in cooling water costs from taking recycled water and a 10% reduction in water costs associated with boiler feed despite the higher costs of the water. Chemical treatment costs have reduced by 15 and 75% for the cooling towers and boilers, respectively. There has also been an 85% decrease in the costs of energy onsite representing savings in the millions of dollars . The Chevron petroleum refinery located in Richmond, California on the shore of San Francisco Bay has an operating capacity of 240,000 barrels per day. According to Lopez et al. , since 1996 the site has applied recycled water for cooling towers and plans were underway for the construction of the Richmond Advanced Recycling Expansion (RARE) water project to provide MF/RO treated water for use as a boiler feed (shown in Fig. 6) by the end of 2008 [74, 76]. The water quality requirements specified by Chevron are shown in Table 3. Pilot studies had demonstrated that these quality requirements can be easily achieved using the proposed system . In August 1998, the Flying J Petroleum Refinery (located in Salt Lake City, Utah, processes 25,000 barrels per day of crude oil) replaced its hot lime softener, which removes hardness and alkalinity from boiler feed water, with an RO unit (Fig. 7). The project was implemented at a total cost of approximately $350,000. The RO unit provided make-up water to four natural-gas-fired package boilers and six waste-heat boilers. The benefits of this replacement project include lower energy costs from reduced boiler blowdown requirements, as well as lower maintenance costs from the elimination of handling lime slurry and its associated cleaning and plugging problems. Another benefit is lower waste disposal costs because no lime is discarded. The total savings are estimated to reach $200,000 annually . In 2001, GE Osmonics carried out a pilot study to assess the feasibility of membrane filtration processes for the treatment of produced water in California near Bakersfield. The produced water came to the surface at 185 °F with approximately 10,000 ppm of salt, a high level of suspended solids, and free oil. The schematic of GE produced water treatment system is shown in Fig. 8. Sulfuric acid was used to adjust the pH of the produced water from the oil separators. The membrane separation combined with an ion exchange step demonstrated to be sufficient to yield water appropriate for irrigation (<1,000 ppm TDS). The treated water contained 5 to 10 ppm boron, which is higher than the 0.75 ppm limit for irrigation water. Purification of treated water using ion exchange reduced boron levels below the 0.75 ppm limit [77-78]. Funston et al. (Kennedy/Jenks Consultants)  carried out a pilot study to assess the technical and economic feasibility of treating oilfield produced water for beneficial reuse (industrial, irrigation and potable water use) at the Placerita Canyon Oil Field, Los Angeles County, CA. The TDS (~ 5,800 mg/L), temperature (170 °F), ammonia (10 mg/L), boron (16 mg/L), and organics were the main water quality concerns. The produced water contained high levels of silica (255 mg/L), hardness (1,000 mg/L as CaCO3), and O&G that could potentially foul TDS removal processes such as RO. Schematic of the pilot plant treatment process constructed at the Placerita Oil Field is shown in Fig. 9. The pilot units consisted of warm softening, coconut shell filtration, cooling (fin-fan), trickling filter, ion exchange and RO. The warm softening unit removed (~95%) hardness from the produced water. Silica levels in the softening effluent were 80 and 20 mg/L at a pH of 8.5 and 9.5, respectively. Silica level decreased to 3 mg/L when 400 mg/L of MgCl2 were added. More than 95% of TDS was removed by RO. Effective removal of boron (~ 90%) was achieved at a pH of 10.5 or above. Ammonia was removed effectively (80%) at a pH of 8.7 or below. The capital cost of the treatment varied from $3.4 to 13.2 million. The annual O&M cost varied from 6 to 27 ¢/barrel of water treated. Sensitivity analyses were performed to evaluate the impact of using waste caustic from refinery operations for the softening process. Analyses demonstrated that the impact of using waste caustic depended on the proximity of the source to the treatment facility . According to Madwar and Tarazi , Riyadh refinery advanced water reclamation plant in Saudi Arabia was built in 1981 to desalinate 20,000 m3/d of wastewater treated by trickling filter biological process. The plant includes two-stage lime clarification; followed by dual media filtration, RO, and finally ion-exchange demineralization. Three levels of water quality to suit different applications in the refinery could be produced in the plant. Water quality at these different treatment stages at Riyadh refinery reuse plant are given in Table 4. Murray-Gulde et al. conducted a pilot-scale hybrid RO-constructed wetland system for treatment and reuse of produced waters from an oil field. After treatment by the hybrid system, no significant mortality was observed in C. dubia or P. promelas exposed to 100% treated produced water when compared to the control organisms. The pilot-scale RO-constructed wetland system effectively reduced conductivity by 95% and TDS by 94% in the brackish produced water. The produced water after treatment was suitable for irrigation or discharge to surface waters . Nicolaisen and Lien  reported a successful RO treatment of oilfield produced water in Bakersfield, California. The pilot system which was operated for over 1700 h in 6 months produced 20 gpm of clean water. Bench-scale studies have demonstrated the potential of brackish water RO membranes to successfully treat oil and gas produced water. Experiments showed that RO membrane technology would be excellent for oilfield produced water treatment with appropriate pre-treatment technology [24, 46, 61, 81]. According to Wang et al. , since 2004, several refinery and petrochemical companies in China have started to reuse their wastewater through a combined UF and RO membrane process. Table 5 gives a list of the major petroleum industry wastewater treatment projects (both discharge and reuse) which employed RO technology in China. The earliest adaptor to apply UF and RO technology was Sinopec Yanshan Plant in 2004 (started operation in November 2004). The wastewater reuse system in Sinopec Yanshan Plant is shown in Figs. 10 and 11. Fig. 10 depicts the process flow diagram of the refinery wastewater reuse system. The wastewater which originates from the refinery process is treated by a biological aerated filter (BAF) and coagulation settlement followed by chlorine treatment. Additionally, this water is treated by fibrous filtration (multimedia filter (MMF)) and active carbon filter (ACF) to remove soluble organics prior to filtration with advanced filtration technologies for water reuse. The integrated membrane solution for this water reuse opportunity is a combination of outside-in pressurized hollow fiber UF (DOW UltrafiltrationTM SFP2660) and spiral wound fouling resistant brackish water membranes (Dow FILMTECTM BW30-365 FR) (Fig. 11). In total, 600 UF elements are applied with a total capacity of 560 m3/h. One train capacity of UF system is 56 m3/h. Fouling resistant RO membranes are applied in the three RO trains with 270 elements in the first stage and 144 elements in the second stage. The capacity of one train of the RO system is 103 m3/h. The UF permeate water is pumped directly into the RO system by high pressure pump after dosing scaling inhibitors (Flocon Plus, BWATM), reducing agents (NaHSO3) and biocides (Flocide 380, BWATM). Table 6 gives the feed water quality of the refinery wastewater reuse system, which is the secondary effluent of refinery wastewater. According to Wang et al. , after more than 30 times of chemical cleaning, the RO system salt rejection was above 97% at 80% system recovery. The normalized permeate flow of the three RO trains varied with the operation time but after chemical cleaning, they recovered to above the design flow of 100 m3/h. The fouling nature of the RO feed water on the 1st stage RO was reported. However, according to the experience of Sinopec Yanshan Plant the output water quality met the customer requirements. The TOC rejection of the UF process was determined at 34%, which was highly rely on the molecular weight of the organics. Low molecular weight organics could pass the UF unit and foul the RO membrane surface, causing serious organic fouling. In addition, the periodic pressure drop increase of the 1st stage RO system demonstrated that there was serious bio-fouling. Thus, addition of other pretreatment process before UF, such as activated carbon cartridge filter and dosing non-oxidized biocides, were proposed alternatives that could help to enhance the life-span of UF and RO elements . Newpark Environmental Services suggested an innovative treatment system including several components and is based on aggressive oxidation followed by precipitation of the contaminants present in the produced water. Fig. 12 shows a schematic of produced water treatment system designed by Newpark Environmental Services. This system consists of three separate stages that can be applied separately or in tandem: the chemical/physical stage (degasification, solids removal, pH adjustment, liquid ring blower, HB reactor (sonic oxidation), degasser, coagulation/flocculation, frictioning, high rate clarification, and sand/activated carbon filtration); the demineralization stage (MF and RO units); and the waste disposal stage (crystallizer and evaporator). Newpark has utilized this system for the treatment of produced water from various sources on the pilot scale and the performance of this system for the treatment of produced water from three facilities are given in Table 7 [34, 78, 85]. Peeters and Theodoulou  studied on membrane technology treating oily wastewater for reuse and reported case studies of full-scale systems to provide applications where refineries have employed this technology to achieve their treatment objectives and reuse goals . For example, wastewater treatment plant in PEMEX refinery, Mexico is shown in Fig. 13 which includes API, DAF, biological process (activated sludge), immersed reinforced hollow-fiber UF, and RO membrane. In this plant, treatment capacity is 6.8 MGD and overall water recycle efficiency is 70%. RO permeate reused for cooling tower makeup and low-pressure boiler feed . GeoPure Water Technologies, LLC  developed the GeoPure desalination process specifically for the desalination of oil and gas produced waters which was a combination of pre-treatment, UF, and RO. These three treatment stages are operated in series to treat a wide range of produced water compositions and generate clean water for discharge or reuse purposes. Pilot-scale systems have been tested in Texas A&M laboratories and at 12 field locations throughout Texas. The vendor reported treating water in excess of 50,000 mg/L TDS, however, available field trial reports mentioned treating water with TDS ranging from 9,700 to 15,000 mg/L. Frac flowback water constituted high concentrations of barium, dissolved hydrocarbons, and iron. Rejection of TDS and product water recovery in available field-testing were reported to be 98-99% and approximately 50%, respectively . Capital costs have not been published, whereas operation and management costs for the Barnett Shale Trend study were found to be $0.94/bbl [45, 89]. Depending on raw water quality, this technology can apply various pretreatment processes (e.g. coagulation/flocculation using chemicals such as Alum or FeCl3) to remove dispersed oil, suspended solids, or dissolved hydrocarbons. The pretreated water is then further purified with polymeric UF and RO. Optimizing pretreatment technologies to protect the core UF/RO treatment processes from membrane foulants (especially dispersed oils) is of interest of GeoPure . Kwon et al. applied combined technology including adsorbent, biological treatment with activated carbon and RO unit in the pilot scale to evaluate the efficiency of the system for both synthetic and real produced water. The surfactant-modified zeolite (SMZ) beads were applied as an adsorbent to remove volatile hydrocarbon. A membrane bioreactor (MBR) and activated carbon treatment were utilized simultaneously to remove the organic content and finally RO membrane treatment was applied to purify water. The SMZ adsorbent beads showed high efficiency in the removal of both volatile and semi-volatile organic compounds, such as BTEX, acetone, and naphthalene respectively. The removal efficiency of SMZ was 40% of the influent TOC (600 mg/L). The effluent further used in MBR for removal of the organic acid component of TOC. Interestingly, in the MBR, submerged membranes were applied to filter the biologically treated wastewater. Results of the combined systems depicted better efficiency in the removal of BTEX concentrations from 70–5 mg/L by the SMZ units and to an average of 2 mg/L after the MBR [43, 90]. CDM  has proposed a technology for treating produced water containing TDS levels up to 20,000 mg/L which this technology has been pilot tested with tight sands produced water in the Piceance Basin and with coal bed methane (CBM) produced water in the Powder Rive Basin. The process flow diagram of CDM produced water treatment technology is shown in Fig. 14. The feed water quality and the desired product water quality determine the specific processes included in the treatment train. Advanced filtration, weak acid cation (WAC) ion exchange softener, UV disinfection, low-pressure RO, antiscalant addition, seawater/high-pressure RO, evaporation, and crystallization are some of the processes that may be applied in this system. Feed water quality bins can be ≤40,000 mg/L TDS. Depending on the feed water quality and unit processes used, the system may achieve 50% to greater than 90% recovery. In order to accommodate changing water volumes, modular systems can be designed to process volumes from 5,000 bbl/day to 20,000 bbl/day with additional units added or removed, as necessary. Based on the pilot testing experience in the Powder River Basin, cost estimates were reported to be $0.14/bbl or $3.33/1000 gal (not including energy or brine disposal), $0.08/bbl or $1.90/1000 gal for brine disposal . Ecosphere Technologies Inc. developed OzonixTM technology which was a semi-truck trailer-mounted, advanced oxidation process (AOP) system [45, 92-93] that has been applied to recycle billions of gallons of produced water and hydraulic fracturing fluids on hundreds of wells in the USA. OzonixTM eliminates the need for costly, liquid chemical biocides typically utilized to manage bacteria, microbial growth and corrosion . This system first applies settling tanks and a large mesh particle filter to screen out particles and large suspended solids, respectively. Then, decanted feed water is pumped into a reactor and is flash mixed with supersaturated ozonated water. The ultrasonic transducers decompose ozone into hydroxyl radicals, which readily oxidizes metals, decomposes soluble and insoluble organic compounds and microorganisms. Ultrasonic transducers also induce cavitations among the dissolved ozone bubbles, which act to induce shearing of larger particles and reduces particle flotation times. The rector also applies two electrodes to facilitate precipitation of hard salts from the influent. Particle coagulation is facilitated by dosing Aluminum sulfate into the solution. The ozonated, coagulated water is then passed through a centrifuge to eliminate all oxidized material. Activated carbon cartridge filter is then used to remove any remaining organic compounds or suspended solids from the solution. RO membranes are applied as a final step to remove monovalent and divalent inorganic solutes [45, 92, 94]. 99.1% TDS rejection, 97% removal of BTEX compounds, and 75% purified water recovery were reported in the pilot study. Vendor claims a 1% waste stream for disposal, with the rest of the solution being retained for reuse as frac water. The energy consumption is approximated at 52 kWh/kgal (2.2 kWh/bbl) . One of the largest-scale application of RO membrane technology (as a post-treatment step) for produced water treatment in upstream processes in the petroleum industry today, is the San Ardo water reclamation project in California. Due to a large amount of produced water (containing 7000 mg/L of TDS) generated from the San Ardo oilfield, that reached 10 barrels/day of water for every barrel of oil produced, the adoption of water resource sustainability resulted in the establishment of this project. The plant generated more than 50,000 bbl/d of treated produced water for reuse to recharge the groundwater basin and supply fresh water using an optimized pretreatment and unique separation (OPUS™) technology based on RO membranes. The system involved multiple steps of pretreatment consisting of heat exchange, degasification, chemical softening, media filtration and ion exchange softening for the RO feed. The effluent from these unit operations was then pumped through a double-pass RO system at a high pH. The permeate of RO membrane (<76 mg/L TDS) was applied for two purposes: first, to discharge treated produced water to constructed wetlands before re-injecting it into the groundwater recharge basins and, second, to use the treated produced water during the oil production process [68, 95]. UF and RO membrane units (as post-treatment steps) were installed in the Chennai refinery by Chennai Petroleum Company Limited (CPCL) to treat and recycle produced water in the refinery and to provide a solution to the water shortage problem in the surrounding community, where 4.5 million inhabitants faced difficulties obtaining clean supplies of the surrounding Chennai community. In the 1990s, the produced water treatment plant was upgraded with UF hollow fiber membranes (Koch membrane systems, Wilmington, MA) as a pretreatment to RO membranes to control fouling membrane, and in 2004 the RO plant was upgraded with 8822XR-400 RO membranes (Koch membrane system, Wilmington, MA). Simultaneously, the number of UF membrane units was enhanced to extend the lifetime of RO membranes, and the period of membrane replacement was thereby increased to 4–5 years instead of 1–1.5 years. The installation of UF membranes modified the quality of the RO feed to contain less than 0.1 NTU turbidity. The silt density index of fouling reached a value of less than two and the performance of the membrane unit showed 90% recovery. The resultant water production of 430,000 L of treated water per hour rendered this project one of the largest reclamation projects in India [68, 96]. Produced water was treated using membrane technology in the oilfield in Wellington, Colorado, USA. This oilfield started production in 1923 and operated until 2007, by which time its produced water exceeded 98.5% of total yield, and resulted in the increment of $1 per barrel of produced water in re-injection and disposal costs. Therefore, membrane technology was utilized to remove the contaminants from the polluted water by applying both ceramic MF and RO membranes for reuse in beneficial uses. The first stage of treatment included DAF, pre-filtration, ceramic MF membrane and activated carbon adsorption, and the treated produced water from these unit operations was then pumped to a groundwater aquifer to be recycled naturally before being extracted and resent to the RO plant for the final stage of treatment. The treated water from the RO membrane supplied more than 93,600 gallons of potable water per day for the people of Wellington [68, 97]. Membrane surface modification is a usual means of alleviating membrane fouling. Surface modifications which enhance hydrophilicity tend to decrease membrane fouling by hydrophobic foulants [47, 98]. In real, hydrophilic surfaces attract a layer of tightly bound water molecules, preventing direct interactions between the foulant and the membrane surface [47, 99]. Miller et al. applied polydopamine (PD) to modify commercial UF and RO membrane modules. UF modules were further modified by grafting poly(ethylene glycol) (PEG) to the PD coating. Modified and unmodified modules were used in a pilot study where they were challenged with flowback water from hydraulic fracturing operations in the Barnett shale gas basin. Modified UF membranes exhibited improved flux and reduced transmembrane pressure and therefore higher permeances than their unmodified counterparts during the investigation. In addition, both modified and unmodified UF modules were cleaned regularly with typical chemical cleaning regimens; the modified module demonstrated increased flux recovery after cleaning. The main benefit of the PD-g-PEG coating in the UF modules, therefore, appears to be facilitated cleaning. The PD-coated RO membranes did not exhibit increased flux or depressed transmembrane pressure difference relative to the unmodified module, likely because of the cleanliness of the RO feed after UF pretreatment. Salt rejection, however, was both higher and more stable in the modified than in the unmodified modules, perhaps due in part to caulking of minor defects in the thin polyamide separation layer by PD. Thus, with UF pretreatment, the PD coating need only be used to RO modules if a salt rejection higher than that provided by the native membrane is desired. The result of this study revealed that PD and PEG can be applied in the modification of industrial membrane modules. Dwyer and McDonald  reported that Sandia National Laboratories and several New Mexico small businesses tested pressure driven membrane-filtration techniques (UF and RO) to remove the high TDS from a Four Corners Coal Bed Methane produced water. Treatment effectiveness was less than optimal due to problems with pretreatment (use of cyclone filters, settling tanks, granular carbon and granular zeolites). Inadequate pretreatment allowed hydrocarbons, wax and biological growth to foul the membranes. Therefore, an innovative pre-treatment scheme using ozone and hydrogen peroxide was pilot tested (Fig. 15). Results showed complete removal of hydrocarbons and the majority of organic constituents from a gas well production water. The effluent water from the pretreatment pilot system was brackish water free of organic components that were ideal for treatment such as RO designed to remove the remaining salt minerals . In the current state, different laboratory, pilot, field, and industrial scale studies have been carried out to apply RO membranes for petroleum industry wastewater treatment. Due to the high complexity of petroleum industry wastewater, the future research expansions will have to be concurrently developed with the advanced pretreatment methods and the success of the RO process will totally rely on the initial quality of the petroleum industry wastewater feed after pretreatment. In real, inadequate pretreatment can allow hydrocarbons, wax and biological growth to foul the membrane. The pretreatment alternatives of RO to find the most suitable treatment combination for wastewaters generated from petroleum industry should be considered. If the water is utilized for special reuse purpose (e.g. potable water), then special post-treatment might be required to achieve the acceptable level of water quality. For example, the treated water may contain boron, which further purification of treated water using advanced processes (e.g. ion exchange, etc.) can reduce its levels below the regulated limit. Oily wastewater treatment may generally be classified as process wastewater pretreatment; primary treatment; secondary treatment; and tertiary treatment or polishing. RO can be the most common membrane process used for desalination from oily wastewater and can produce water suitable for reuse at the petroleum industry. Salt rejection of RO membranes can be 99% or higher. RO membrane systems usually have a life expectancy of 3–7 years. Note that membranes cannot usually withstand feed temperatures in excess of 45 °C. RO process requires effective oil and grease removal pretreatment due to fouling susceptibility of RO membranes by oil and hydrocarbons. Most membrane manufacturers recommend <0.1 mg/L O&G in the RO influent, and cases have been documented where as little as 0.001 mg/L of a hydrocarbon in the influent has irreversibly fouled RO systems. The size of rejection required, materials of construction and site location can affect the capital costs of RO membrane systems. Operating costs rely on energy price and TDS level in the feed water. Despite the need for complicated pretreatment trains, RO has still considered a viable treatment technique for oily wastewaters generated by the petroleum industry. 1. Fakhru’l-Razi A, Pendashteh A, Abdullah LC, Biak DRA, Madaeni SS, Abidin ZZ. Review of technologies for oil and gas produced water treatment. J Hazard Mater. 2009;170(2–3):530-51. 2. Zhao S, Minier-Matar J, Chou S, Wang R, Fane AG, Adham S. Gas field produced/process water treatment using forward osmosis hollow fiber membrane: Membrane fouling and chemical cleaning. DESALINATION. 2017;402:143-51. 3. World Energy Outlook, International Energy Agency, 2014, Paris. 4. Zhong J, Sun X, Wang C. Treatment of oily wastewater produced from refinery processes using flocculation and ceramic membrane filtration. Sep Purif Technol. 2003;32(1–3):93-8. 5. Jafarinejad S, editor Supercritical water oxidation (SCWO) in oily wastewater treatment. National e-Conference on Advances in Basic Sciences and Engineering (AEBSCONF), Iran; 2014. 6. Jafarinejad S, editor Electrochemical oxidation process in oily wastewater treatment. National e-Conference on Advances in Basic Sciences and Engineering (AEBSCONF), Iran; 2014. 7. Jafarinejad S, editor Ozonation advanced oxidation process and place of its use in oily sludge and wastewater treatment. 1st International Conference on Environmental Engineering (EICONF), Tehran, Iran; 2015. 8. Jafarinejad S, editor Heterogeneous photocatalysis oxidation process and use of it for oily wastewater treatment. 1st International Conference on Environmental Engineering (EICONF), Tehran, Iran; 2015. 9. 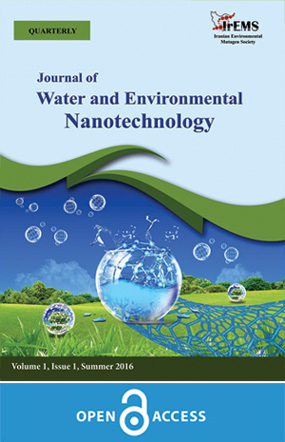 Jafarinejad S, editor Recent advances in nanofiltration process and use of it for oily wastewater treatment. 1st International Conference on Environmental Engineering (eiconf), Tehran, Iran; 2015. 10. Jafarinejad, Sh., 2015d. Investigation of advanced technologies for wastewater treatment from petroleum refinery processes. 2nd E-conference on Recent Research in Science and Technology, Kerman, Iran, Summer 2015. 11. Jafarinejad S. Petroleum Waste Treatment and Pollution Control: Butterworth-Heinemann; 2016. 12. Jafarinejad S. Recent developments in the application of sequencing batch reactor (SBR) technology for the petroleum industry wastewater treatment. Chem Int. 2017;3(3):241-50. 13. Exploration OII, Forum P. Environmental Management in Oil and Gas Exploration and Production: An Overview of Issues and Management Approaches: E&P Forum; 1997. 14. Compliance USEPAOo. EPA Office of Compliance Sector Notebook Project: Profile of the petroleum refining industry: Office of Compliance, Office of Enforcement and Compliance Assurance, U.S. Environmental Protection Agency; 1995. 15. IPIECA. Petroleum refining water/wastewater use and management. London, United Kingdom. : IPIECA Operations Best Practice Series; 2010. 16. IL & FS Ecosmart Limited Hyderabad, 2010. Technical EIA guidance manual for petrochemical complexes, Prepared for the Ministry of Environment and Forests, Government of India, September 2010. 18. European Commission, Joint Research Center, 2013. Best available techniques (BAT) reference document for the refining of mineral oil and gas, Industrial Emissions Directive 2010/75/EU (Integrated Pollution Prevention and Control), Joint Research center, Institute for Prospective Technological Studies Sustainable Production and Consumption Unit European IPPC Bureau. 19. Cholakov GS. Pollution control technologies- Volume III. Encyclopedia of Life Support Systems (EOLSS) Publications; 2009. p. 398. 20. Fakhru’l-Razi A, Pendashteh A, Abidin ZZ, Abdullah LC, Biak DRA, Madaeni SS. Application of membrane-coupled sequencing batch reactor for oilfield produced water recycle and beneficial re-use. Bioresour Technol. 2010;101(18):6942-9. 21. Piemonte V, Prisciandaro M, Mascis L, Di Paola L, Barba D. Reverse osmosis membranes for treatment of produced water: a process analysis. Desalin Water Treat. 2015;55(3):565-74. 22. Pendashteh AR, Fakhru’l‐Razi A, Chuah TG, Radiah ABD, Madaeni SS, Zurina ZA. Biological treatment of produced water in a sequencing batch reactor by a consortium of isolated halophilic microorganisms. Environ Technol. 2010;31(11):1229-39. 23. Hayes T, Arthur D, editors. Overview of emerging produced water treatment technologies. 11th Annual International Petroleum Environmental Conference, Albuquerque, NM; 2004. 24. Mondal S, Wickramasinghe SR. Produced water treatment by nanofiltration and reverse osmosis membranes. J Membr Sci. 2008;322(1):162-70. 25. Colorado Water Resources Research Institute, 2006. Produced Waters Workshop Proceedings, April 4–5, 2006. 26. Yu L, Han M, He F. A review of treating oily wastewater. Arabian J Chem. 27. Benyahia F, Abdulkarim M, Embaby A, Rao M, editors. Refinery wastewater treatment: a true technological challenge. The Seventh Annual UAE University Research Conference UAE University; 2006. 28. Goldblatt ME, Gucciardi JM, Huban CM, Vasconcellos SR, Liao WP. New polyelectrolyte emulsion breaker improves oily wastewater cleanup at lower usage rates. Water and Process Technologies Article number TP382en0603. 2006. 29. Bush, K.E., 1980. Refinery wastewater treatment and reuse, Originally published April 12, 1976, Industrial wastewater and solid waste engineering, Edited by Vincent Cavaseno and the Staff of Chemical Engineering, Chemical Engineering McGrawHill Pub. Co., New York, USA, 13-18. 30. Takht Ravanchi M, Kaghazchi T, Kargari A. Application of membrane separation processes in petrochemical industry: a review. DESALINATION. 2009;235(1):199-244. 31. Dach H. Comparison of nanofiltration and reverse osmosis processes for a selective desalination of brackish water feeds: Université d'Angers; 2008. 32. Shon H, Phuntsho S, Chaudhary D, Vigneswaran S, Cho J. Nanofiltration for water and wastewater treatment-a mini review. Drinking Water Eng Sci. 2013;6(1):47-53. 33. Claudia Muro FRaMadCDa. Membrane Separation Process in Wastewater Treatment of Food Industry. In: Valdez B, editor. Food Industrial Processes - Methods and Equipment2012. 34. Arthur JD, Langhus BG, Patel C. Technical summary of oil & gas produced water treatment technologies. All Consulting, LLC, Tulsa, OK. 2005. 35. Spiegler KS, Kedem O. Thermodynamics of hyperfiltration (reverse osmosis): criteria for efficient membranes. DESALINATION. 1966;1(4):311-26. 36. Pombo F, Magrini A, Szklo A. Technology roadmap for wastewater reuse in petroleum refineries in Brazil. In: Broniewicz E, editor. Environmental Management in Practice: InTech; 2011. 37. Bolong N, Saad I, Ismail A, Salim M, Rana D, Matsuura T. Charge property modeling of nanofiltration hollow fiber membranes. Int J Simul Syst Sci Technol. 2011;12(3):12-6. 38. Jafarinejad S. Modeling of solute transport through membrane in nanofiltration process. 1st International Conference on Environmental Engineering (eiconf); Tehran, Iran2015. 39. Palit S. A short review of applications of reverse osmosis and other membrane separation procedures. International Journal of Chemical Sciences and Applications. 2012;3(2):302-5. 40. Baker RW. Membrane technology and applications. second edition ed: John Wiley & Sons; 2004. 41. Munirasu S, Haija MA, Banat F. Use of membrane technology for oil field and refinery produced water treatment—A review. PROCESS SAF ENVIRON. 2016;100(Supplement C):183-202. 42. Alzahrani S, Mohammad AW. Challenges and trends in membrane technology implementation for produced water treatment: A review. J Water Process Eng. 2014;4(Supplement C):107-33. 43. Padaki M, Surya Murali R, Abdullah MS, Misdan N, Moslehyani A, Kassim MA, et al. Membrane technology enhancement in oil–water separation. A review. DESALINATION. 2015;357(Supplement C):197-207. 44. Liu N, Li L, McPherson B, Lee R. Removal of organics from produced water by reverse osmosis using MFI-type zeolite membranes. J Membr Sci. 2008;325(1):357-61. 45. Colorado School of Mines, Technical Assessment of produced water treatment technologies, 2009. An integrated framework for treatment and management of produced water. RPSEA Project 07122-12, Colorado, 8–128. 46. Igunnu ET, Chen GZ. Produced water treatment technologies. International Journal of Low-Carbon Technologies. 2014;9(3):157-77. 47. Miller DJ, Huang X, Li H, Kasemset S, Lee A, Agnihotri D, et al. Fouling-resistant membranes for the treatment of flowback water from hydraulic shale fracturing: A pilot study. J Membr Sci. 2013;437(Supplement C):265-75. 48. Li Q, Elimelech M. Organic Fouling and Chemical Cleaning of Nanofiltration Membranes: Measurements and Mechanisms. Environ Sci Technol. 2004;38(17):4683-93. 49. Ang WS, Lee S, Elimelech M. Chemical and physical aspects of cleaning of organic-fouled reverse osmosis membranes. J Membr Sci. 2006;272(1):198-210. 50. Ang WS, Tiraferri A, Chen KL, Elimelech M. Fouling and cleaning of RO membranes fouled by mixtures of organic foulants simulating wastewater effluent. J Membr Sci. 2011;376(1):196-206. 51. Alzahrani S, Mohammad AW, Hilal N, Abdullah P, Jaafar O. Identification of foulants, fouling mechanisms and cleaning efficiency for NF and RO treatment of produced water. Sep Purif Technol. 2013;118(Supplement C):324-41. 52. Barrufet MA, Burnett DB, Mareth B. Modeling and Operation of Oil Removal and Desalting Oilfield Brines With Modular Units. SPE Annual Technical Conference and Exhibition; 2005/1/1/; Dallas, Texas. SPE: Society of Petroleum Engineers; 2005. 53. SILER JL, BHATTACHARYYA D. Low pressure reverse osmosis membranes: concentration and treatment of hazardous wastes. Hazard Waste Hazard Mater. 1985;2(1):45-65. 54. Laboratory NRE, Energy USDo, Scientific USDoEOo, Information T. Installation of Reverse Osmosis Unit Reduces Refinery Energy Consumption: Office of Industrial Technologies (OIT) BestPractices Petroleum Technical Case Study: United States. Department of Energy; 2001. 55. Funston R, Ganesh R, Leong LY. Evaluation of technical and economic feasibility of treating oilfield produced water to create a “new” water resource. Ground Water Protection Council (GWPC), Colorado Spring, US. 2002:16-7. 56. Williams ME. A review of wastewater treatment by reverse osmosis. EET Corporation and Williams Engineering Services Company Inc. 2003:1-33. 57. Krug TA, Attard KR. Treating oily waste water with reverse osmosis. Water and Pollution Control(Canada). 1990;128(5):16-8. 58. Teodosiu CC, Kennedy MD, van Straten HA, Schippers JC. Evaluation of secondary refinery effluent treatment using ultrafiltration membranes. Water Res. 1999;33(9):2172-80. 59. Tsang PB, Martin CJ. Economic Evaluation of Treating Oilfield Produced Water for Potable Use. SPE International Thermal Operations and Heavy Oil Symposium and Western Regional Meeting; 2004/1/1/; Bakersfield, California. SPE: Society of Petroleum Engineers; 2004. 60. Doran GF, Carini FH, Fruth DA, Drago JA, Leong LYC. Evaluation of Technologies to Treat Oil Field Produced Water to Drinking Water or Reuse Quality. SPE Annual Technical Conference and Exhibition; 1997/1/1/; San Antonio, Texas. SPE: Society of Petroleum Engineers; 1997. 61. Xu P, Drewes JE. Viability of nanofiltration and ultra-low pressure reverse osmosis membranes for multi-beneficial use of methane produced water. Sep Purif Technol. 2006;52(1):67-76. 62. Xu P, Drewes JE, Heil D. Beneficial use of co-produced water through membrane treatment: technical-economic assessment. DESALINATION. 2008;225(1):139-55. 63. Al-Jeshi S, Neville A. An experimental evaluation of reverse osmosis membrane performance in oily water. DESALINATION. 2008;228(1):287-94. 64. Çakmakce M, Kayaalp N, Koyuncu I. Desalination of produced water from oil production fields by membrane processes. DESALINATION. 2008;222(1):176-86. 65. Franks R, Bartels C, Anit A, Nagghappan L, editors. RO membrane performance when reclaiming produced water from the oil extraction process. International Desalination Association World Congress, Dubai, UAE; 2009. 66. Kim E-S, Liu Y, Gamal El-Din M. The effects of pretreatment on nanofiltration and reverse osmosis membrane filtration for desalination of oil sands process-affected water. Sep Purif Technol. 2011;81(3):418-28. 67. Negri M, Gillenwater P, Urgun Demirtas M. Emerging technologies and approaches to minimize discharges into Lake Michigan Phase 2, Module 3 report. United States: Argonne National Laboratory (ANL), 2011. 68. Alzahrani S, Mohammad AW, Hilal N, Abdullah P, Jaafar O. Comparative study of NF and RO membranes in the treatment of produced water—Part I: Assessing water quality. DESALINATION. 2013;315(Supplement C):18-26. 69. Alzahrani S, Mohammad AW, Abdullah P, Jaafar O. Potential tertiary treatment of produced water using highly hydrophilic nanofiltration and reverse osmosis membranes. J Environ Chem Eng. 2013;1(4):1341-9. 70. Rodrigues Pires da Silva J, Merçon F, Firmino da Silva L, Andrade Cerqueira A, Braz Ximango P, da Costa Marques MR. Evaluation of electrocoagulation as pre-treatment of oil emulsions, followed by reverse osmosis. J Water Process Eng. 2015;8(Supplement C):126-35. 71. EPRl Chemicals, Petroleum and Natural Gas Center, 1997. Techapplication, Reverse osmosis for refinery wastewater treatment, Industrial and Agricultural Technologies and Services, Electric Power Research Institute (EPRI), Palo Alto, California, USA, TA-108883, 1-2. 72. Selby KA, Puckorius PR, Helm KR. The use of reclaimed water in electric power stations and other industrial facilities. Water Air Soil Pollut. 1996;90(1):183-93. 73. Loretitsch, G.A., Karajeh, F., Mottin, J., 2005. The hot and cold of recycled water in refineries. Central Basin Municipal Water District, Western Basin Municipal Water District, Carson, USA. 75. Alexander, K., 2007. Industrial and high tech uses for recycled water, in Water Reuse Association Northern California Chapter Workshop: Recycled Water for Cooling Towers and Other Industrial Uses, San Jose, USA. 76. Lopez DC, Lee JR, Hu LH, Clark J, Reddy S. High-Purity Water from Wastewater…A “Rare” Opportunity. Proceedings of the Water Environment Federation. 2006;2006(13):126-38. 77. GE Infrastructure Water & Process Technologies (GE) (2001) Produced water pilot study. 78. Oil I. Gas Compact Commission (IOGCC), ALL Consulting. A Guide to Practical Management of Produced Water from Onshore Oil and Gas Operations in the United States, Rep No DE-PS26-04NT15460-02, Technical Report prepared for US Department of Energy. 2006. 79. Madwar K, Tarazi H. Desalination techniques for industrial wastewater reuse. DESALINATION. 2003;152(1):325-32. 80. Murray-Gulde C, Heatley JE, Karanfil T, Rodgers JH, Myers JE. Performance of a hybrid reverse osmosis-constructed wetland treatment system for brackish oil field produced water. Water Res. 2003;37(3):705-13. 81. Nicolaisen B, Lien L, editors. Treating oil and gas produced water using membrane filtration technology. Produced Water Workshop, Aberdeen, Scotland; 2003. 82. Wang D, Tong F, Aerts P. Application of the combined ultrafiltration and reverse osmosis for refinery wastewater reuse in Sinopec Yanshan Plant. Desalin Water Treat. 2011;25(1-3):133-42. 83. Tong Z. Experience of oil refining wastewater recovery by the process of combined ultrafiltration and reverse osmosis. Modern Chemical Industry. 2007;27(2):6-10. 84. Dang Y, editor Application of membrane technology in the refinery wastewater reuse. Membrane Engineering and Application Symposium One; 2007. 85. Lincz, R., 2004. Newpark’s HB reactor water treatment technology used for anadarko coal bed methane produced water treatment for discharge county line production field. prepared by Newpark Environmental Services for DEQ-Water Quality Division, December 2004. 86. Peeters J, Theodoulou S, editors. Membrane technology treating oily wastewater for reuse. NACE corrosion conference; 2005. 88. GeoPure Water Technologies, LLC, 2007. Abstract of GeoPure Technology. 89. Crowe, D. 2007. A System for the Purification of Oilfield Wastewater Incorporating Pretreatment Stages and Reverse Osmosis Technology. Journal/14th Annual International Petroleum Environmental Conference. 90. Kwon S, Sullivan EJ, Katz L, Kinney KA, Bowman RS. Pilot Scale Test of a Produced Water-Treatment System for Initial Removal of Organic Compounds. SPE Annual Technical Conference and Exhibition; 2008/1/1/; Denver, Colorado, USA. SPE: Society of Petroleum Engineers; 2008. 94. Horn AD. Breakthrough Mobile Water Treatment Converts 75% of Fracturing Flowback Fluid to Fresh Water and Lowers CO2 Emissions. SPE Americas E&P Environmental and Safety Conference; 2009/1/1/; San Antonio, Texas. SPE: Society of Petroleum Engineers; 2009. 95. Webb CH, Nagghappan L, Smart G, Hoblitzell J, Franks R. Desalination of Oilfield-Produced Water at the San Ardo Water Reclamation Facility, CA. SPE Western Regional Meeting; 2009/1/1/; San Jose, California. SPE: Society of Petroleum Engineers; 2009. 96. Bernardo P, Drioli E. Membrane Technology: Latest Applications in the Refinery and Petrochemical Field. In: Drioli E, Giorno L, Fontananova E, editors. Comprehensive Membrane Science and Engineering. 2nd Edition ed: Elsevier, Oxford; 2010. p. 211–39. 97. Intelligence GW. Produced Water Market: Opportunities in the oil, shale and gas sectors in North America. Global Water Intelligence Publication. 2011. 98. Geise GM, Lee H-S, Miller DJ, Freeman BD, McGrath JE, Paul DR. Water purification by membranes: The role of polymer science. J Polym Sci, Part B: Polym Phys. 2010;48(15):1685-718. 99. Elimelech M, Phillip WA. The Future of Seawater Desalination: Energy, Technology, and the Environment. SCIENCE. 2011;333(6043):712-7. 100. Dwyer BP, McDonald F. Treatment of Oil & Gas Produced Water. Sandia National Laboratories (SNL-NM), Albuquerque, NM (United States), 2016.